Jamal Hill of Inglewood, California struggles with the degenerative disorder Charcot-Marie-Tooth - but not much else. The personable entrepreneur is a member of the USA Paralympic swim team and is looking forward to competing in the 2020 Tokyo and 2024 Paris Paralympic Games despite living with Charcot-Marie-Tooth disease which is an inherited disorder that causes nerve damage in his arms and legs. The disease results in smaller, weaker muscles, a loss of sensation and muscle contractions, and difficulty walking. In Hill's case, it significantly reduces the mobility in his legs where his motor function stops at his knee caps and his motor function in my arms is also impacted. But his overwhelming positive nature has enabled him to succeed in a sport he could have easily quit many times. Currently, Hill is ranked #1 among American Paralympic swimmers and 13th in the world going into the Olympic year. But he has also created Swimming Up Hill, a digital marketing company that markets health and fitness brands, insurance and medical practices. At its core, Hill's mission is to teach 1 million people how to swim. He works with swim schools in Southern California to help the schools facilitate more lessons for lower cost to the customer. Hill balances his work at Swimming Up Hill with his participation on the World Para Swimming World Series 2019 where he travels the world, using his KAATSU Nano for recovery. His next major goal is to compete at the 2019 World Para-swimming Championships in London this September where he will compete among 600 swimmers from 60 nations who are trying to qualify for the 2020 Tokyo Paralympics. Hill is shown above with his fellow KAATSU Specialist and American Paralympic swimmer Robert Griswold of Indiana. Courtesy of Bud Wayne, Editorial Executive, © CEOCFO Magazine. "I have been funding disruptive technology companies in healthcare for the length of my career," explained entrepreneur and former investment banker David Weinstein to Bud Wayne, Editorial Executive of the CEOCFO Magazine. "I have looked at hundreds of products during my 35 years of investment banking, and landed on a few that I thought were heads and shoulders above everything else. Kaatsu is one of them." Weinstein's interview with CEOCFO Magazine's Wayne is posted here in full. For an interview with Weinstein's wife Leidy, visit here. For more information about the Weinstein's LifeForceIQ concept, visit here. For more information about the CEOCFO Magazine, visit here. These results had long been known to KAATSU Specialists and users since the 1980s. Many researchers between 2000 - 2005 tested KAATSU Walking with MRI-measured muscle size and strength (maximum dynamic or one repetition maximum) and isometric strength along with blood hormonal parameters. Testing was done on both control groups and experimental groups of subjects ranging from young men to older women. The testing was done using 2-minute bouts of treadmill speed of 50 meters per minute. The researchers found a multitude of benefits and changes among the experimental KAATSU users while there was no change in muscle size and dynamic and isometric strength in the control group..
1. Serum growth hormone was elevated after KAATSU Walking with the experimental group, but not with the non-KAATSU control group. 2. MRI-measured thigh muscle cross-sectional area and muscle volume increased by 4 - 7%. Furthermore, indicators of muscle damage (creatine kinase and myoglobin) and resting anabolic hormones did not change with both groups. The researchers concluded that KAATSU Walking induces muscle hypertrophy and strength gain despite the minimum level of exercise intensity after 3 weeks, and that KAATSU Walking may be a potentially useful method for promoting muscle hypertrophy for a wide range of the population including the frail and elderly. While these benefits have long been known in Japan, there have been many other applications that have since been developed and researched that address age-related skeletal muscle loss (sarcopenia) that inhibits mobility and increases the risk of developing several diseases such as diabetes, osteoporosis and heart disease. 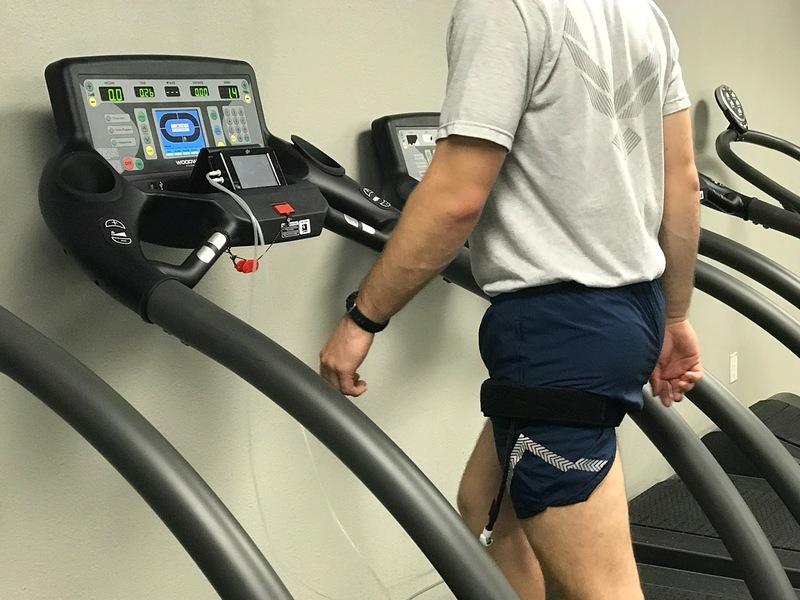 As the implications of KAATSU protocols began to be appreciated by the United States military, researchers like Dr. William Ursprung at Texas A&M University studied the effects of KAATSU Walking to improve aerobic capacity. Dr. Ursprung evaluated the effects of KAATSU Walking on VO2max, 1.5 mile run times, and muscular size at low training volumes and intensities with airman from the U.S. Air Force 350th Special Operations and Tactics Training Squadron. 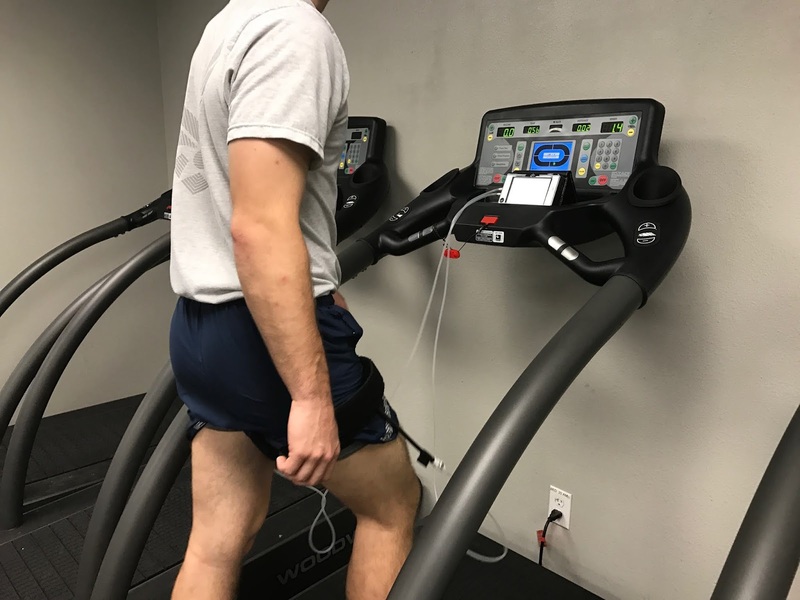 After three weeks of lower extremity KAATSU Walking, the test found significant improvements in VO2max, significant decreases in 1.5 mile run time, and significant increases in thigh muscle cross sectional area and the researchers concluded that KAATSU Walking represents a methodology for improving aerobic capacity, endurance and muscular size at low training volumes and intensities. This conclusion mirrored the applications for KAATSU that many far forward-thinking coaches and trainers have known and used. For military personnel and athletes who are looking for concurrent improvements in strength and endurance, they do not always have to move, run, swim, cycle or row at maximum intensity if they strategically use KAATSU equipment. While movement or exercises with KAATSU equipment performed with intensity will result in significant physiological and athletic improvement, it is always unnecessary. 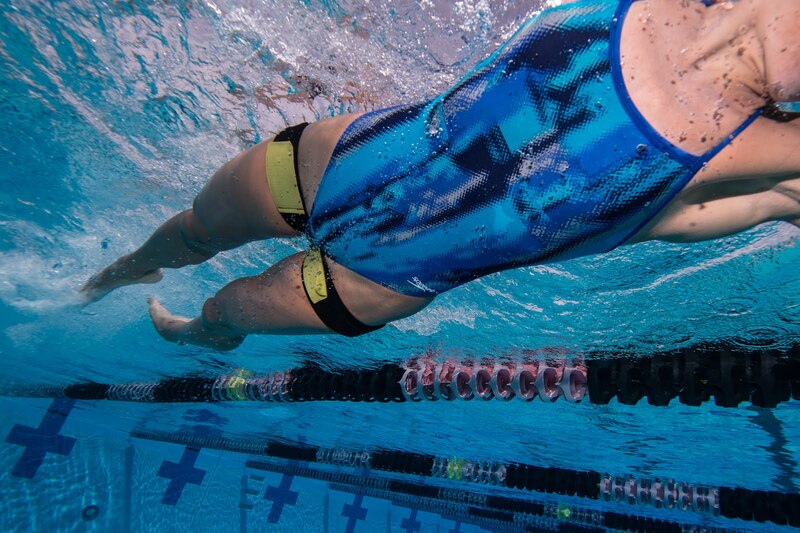 "As long as their technique and athletic form is correct, athletes and military personnel can realize benefits with KAATSU by moving more slowly (i.e., walking versus running or swimming at a moderate pace versus swimming at maximum speed) rather than always going all-out," explains Steven Munatones. "Perhaps this lowered intensity is appropriate after injuries or immediately after a competition or during a taper phase of training. Perhaps this slower pace or raw speed is simply more appropriate during different parts of any specific workout when an athlete is working on their technique or form." This phenomena means that the implications and applications of KAATSU usage expands significantly. When benefits and improvements can be achieved at any speed, pace or level of intensity, coaches and athletes can be much more flexible and creative in their training decisions. For example, instead of only going all-out sprints with KAATSU, runners, cyclists, swimmers, rowers and skiers can practice at more moderate pace - which means that KAATSU can be done more frequently and with less resultant fatigue. The same effects of KAATSU have been found with other KAATSU-using mammals like horses, mice, rats, and goats in testing performed in Japan and China. The photo above show Chinese scientists attaching standard KAATSU Air Bands on the hind legs of goats in northern China under the auspices of China's State General Administration of Sports, the government agency responsible for sports in China that also administers the Chinese Olympic Committee. Kenneth McKeever, Ph.D., FACSM serves as the Associate Director of Research and is a Professor of Animal Sciences at The Rutgers Equine Science Center. The Center is part of Rutgers, The State University of New Jersey, and is dedicated to better horse care through research and education to advance the well-being and performance of horses and the equine industry. Since 1995, Professor McKeever has proceeded to build, develop, and coordinate one of the most active Equine Exercise Physiology laboratories in the USA. One of the most interesting studies that Professor McKeever conducted in collaboration with his colleagues Professors Abe, Kearns, Filho and Sato of the Department of Exercise and Sport Science at the Tokyo Metropolitan University and the Department of Ischemic Circulatory Physiology at The University of Tokyo in Japan. His study on this topic of using standard KAATSU Air Bands - the same used on humans - is entitled Muscle, tendon, and somatotropin responses to the restriction of muscle blood flow induced by KAATSU-walk training that was published in Equine Exercise Physiology. Professor McKeever and his fellow researchers delved into the efficacy of KAATSU being used as both as a therapeutic method as well as a training aid. The purpose of their study was to investigate the effects of slow KAATSU Walking on muscle and tendon size. They studied 6 healthy, unfit Standardbred mares performed walking (240 meters/minute for 10 minutes and then a 5-minute recovery) with KAATSU, and 6 mares performed walking without KAATSU. The KAATSU Air Bands - the same model and type that were used by humans and with the goats in China - were inflated using KAATSU equipment and placed at the most proximal position of the forelegs and inflated to a pressure of 200-230 mmHg throughout the KAATSU walking and recovery sessions. The training was conducted once a day, 6 days/week for 2 weeks. Skeletal muscle thickness and tendon thickness were measured using B-mode ultrasound at baseline and after 2 weeks of training. Venous blood samples were obtained before the first acute exercise and 5, 15 and 60 minutes afterwards. Serum somatotropin concentration was determined using a commercially available equine-specific ELISA kit. The professors found that the acute increase in plasma somatotropin was 40% greater (P<0.05) in the KAATSU Walking group than in the Control-walking group 5 minutes after exercise and remained elevated (P<0.05) at 15 and 60 minutes post exercise compared with the Control-walking group. After 2 weeks of training, muscle thickness increased (P<0.05) 3.5% in the KAATSU Walking group, but did not change in the Control-walking group (0.7%). Tendon thickness did not change (P>0.05) in either group. They concluded that these data demonstrate that KAATSU can induce muscle hypertrophy in horses and suggest that KAATSU may provide significant therapeutic/rehabilitative value in horses, as has been shown in humans. * Muscle size and strength are increased following walk training with restricted venous blood flow from the leg muscle, Kaatsu-walk training by Professor Abe and Professor Kearns of Tokyo Metropolitan University and Professor Sato of the University of Tokyo. ** The Effects of Blood Flow Restriction Training on VO2Max and 1.5 Mile Run Performance by William Ursprung, published in the International Journal of Exercise Science. Courtesy of Masimo Personal Health. The KAATSU Master 2.0 and KAATSU Wearables both use the Masimo MightySat™ Finger Pulse Oximeter. "One of the best physiological monitoring devices that I have ever used is the Bluetooth-enabled Masimo MightySat™ Fingertip Pulse Oximeter," said Steven Munatones. "I can simultaneously track and archive the oxygen level in my blood, my pulse, the number of breaths per minute, a measure to understand how well hydrated that I am, and other data points that indicate changes in blood circulation and heart rate recovery. 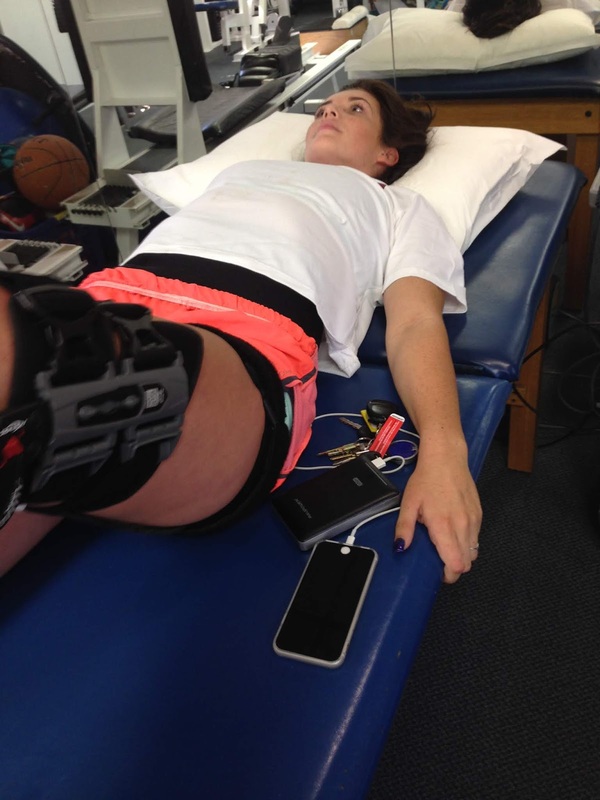 We use the Masimo with the athletes of all abilities and individuals of all ages recovering from injuries who we work with." 1. SpO2 or Oxygen Saturation is the oxygen level in your blood that indicates changes due to your heart or lung function, oxygen use by your body, or altitude. It is a percentage of hemoglobin in the blood that is saturated with oxygen. The unit of measure is percentage (%). 2. PR or Pulse Rate is the number of your heart pulses per minute that indicates your overall fitness or exertion levels at any time. The unit of measure is beats per minute (bpm). 3. RRp™ or Respiration Rate is the number of breaths per minute that indicates how well your heart and lungs function or how quickly you recover from exercise. It is a measurement of respiration rate based on changes in the plethysmographic waveform. The unit of measure is respirations per minute (RPM). 4. PVi® or Plethysmograph Variability Index is the variation in perfusion index over your breathing cycle, which may indicate changes in hydration, breathing effort, perfusion, or other factors. The Plethsymographic Waveform displays your real-time pulse pressure waveform. To properly measure your PVi®, you should lay down relaxed in a horizontal position and take it at the same time of the day in the same position. 5. PI or Perfusion Index is the strength of your blood flow to your finger that indicates changes in blood circulation. It is the ratio of the pulsatile blood flow to the non-pulsatile blood in peripheral tissue used to measure peripheral perfusion. The Perfusion Index values ranges from 0.02% for a very weak pulse to 20% for an extremely strong pulse. 6. The Heart Rate Recovery Calculator can track the heart’s ability to return to normal levels after vigorous physical activity. Fitness level and proper heart function are measured by the recovery phase. A heart that is fit will recover at a quicker rate than a heart that is not accustomed to regular exercise. The first minute of recovery is the most crucial. After exercise, your heart rate experiences an abrupt drop during the first minute. This recovery period can indicate cardiovascular fitness level. 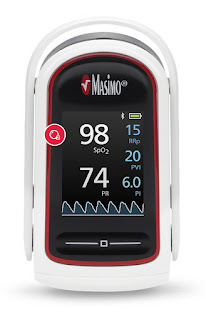 The Masimo's Heart Rate Recovery Calculator is used by putting on the MightySat on your finger right after exercise and opening the Masimo mobile app. After 60 seconds, you will receive your percentage score. As a general rule, a lower recovery heart rate following vigorous exercise is better. 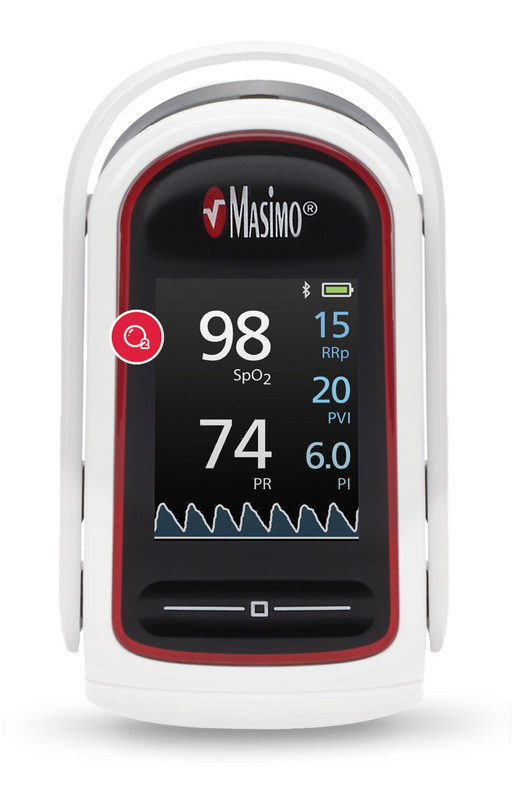 For more information about the Masimo MightySat™ Fingertip Pulse Oximeter, visit here or listen to world champion Michael Andrew above. If you Google the word KAATSU, many online sources focus on KAATSU applications as a muscle-building, physique-toning modality. 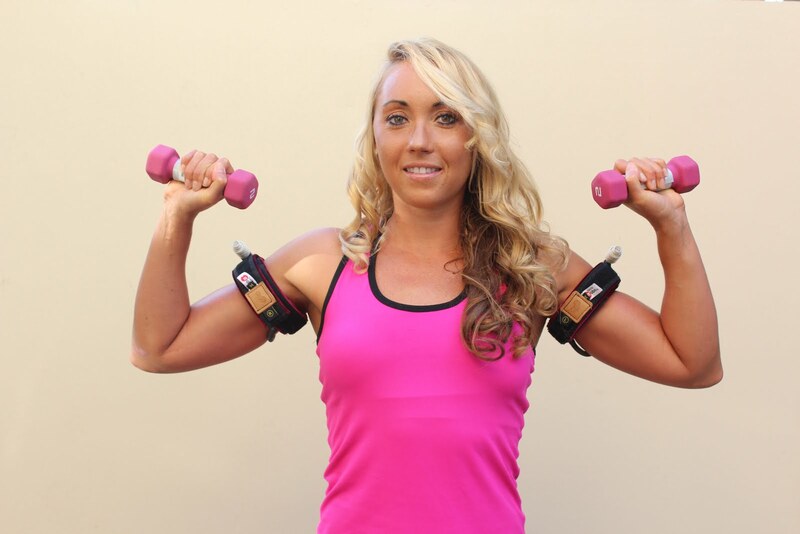 Photos, videos and testimonials explain and show how KAATSU can help build biceps and quads. But that impression is quite limited in its scope and only scratches the surface on ways that KAATSU is currently used by people in 47 countries. A vast number of people of all ages use KAATSU for physical therapy, rehabilitation and recovery from vigorous workouts. Muscle toning and general wellness are, in reality, much more widely used applications than target bulging biceps. And most of these KAATSU users are people over the age of 50. There is another growing specialty use of KAATSU: all kinds of skin care and beauty applications. These female-focused applications have been tested and perfected over the last 20 years by a number of KAATSU specialists in Japan. 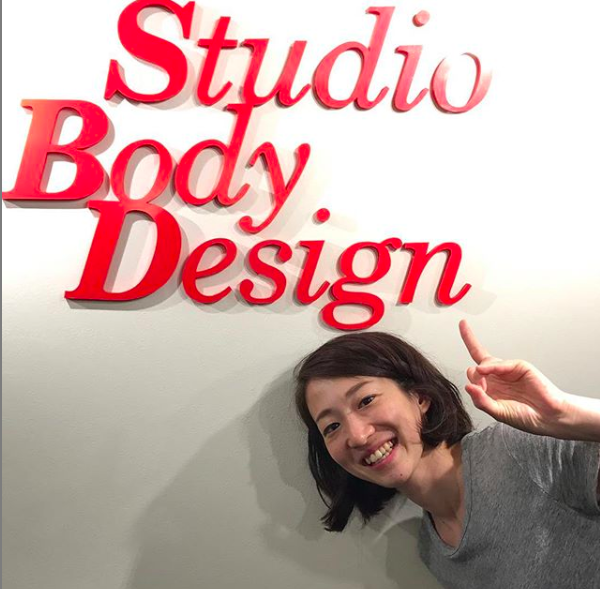 One of the leading KAATSU beauty experts is Dr. Yasuko Kato of Studio Body Design in Tokyo. Her clientele reaches from her hometown of Tokyo to clients from Los Angeles to London. She offers a wide variety of applications to her clients from a maternity KAATSU course for pregnant women and new mothers and KAATSU sessions for women over the age of 50. 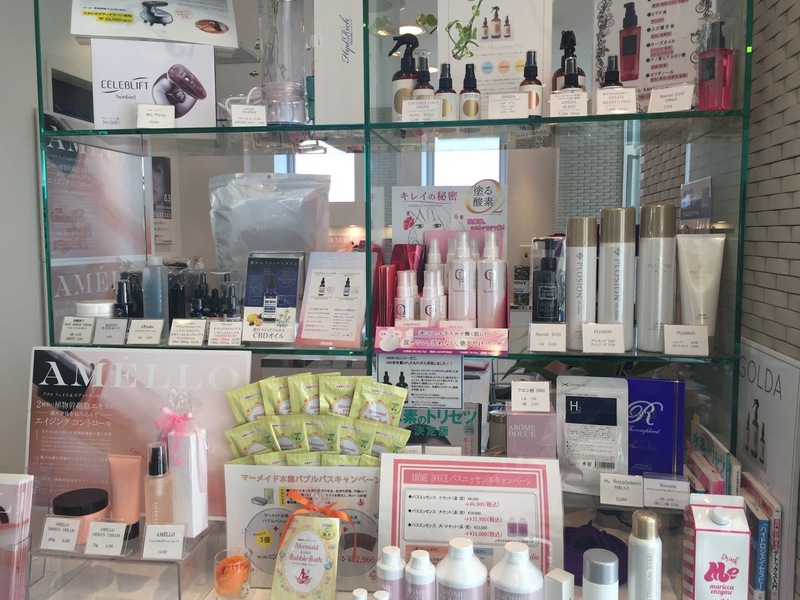 She and her staff also offer specialty KAATSU Skin Care sessions for brides preparing for and on their wedding day as well as KAATSU Pilates sessions and KAATSU Stretching courses. But the skin care benefits are also appreciated by individuals who may have had accidents, injuries or surgeries. While Studio Body Design offers many specialty courses, the standard KAATSU session is a multi-stage experience. 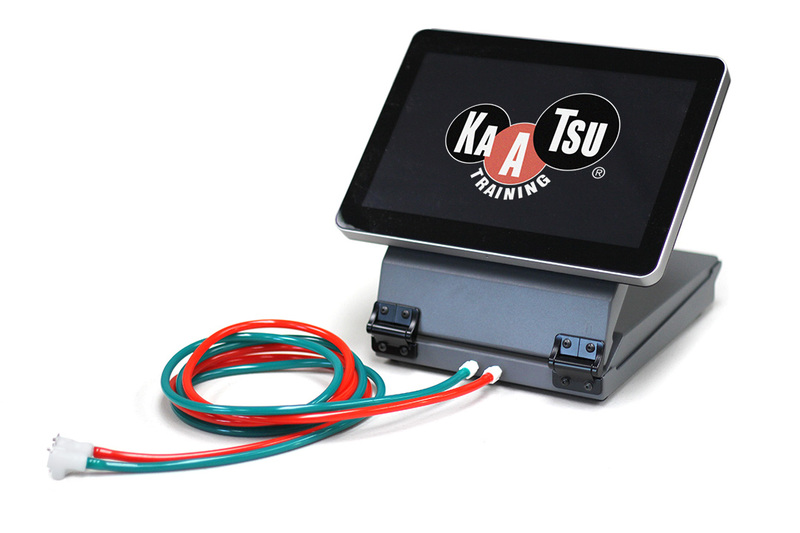 "It is a remarkably profound experience and a totally different type of KAATSU application compared to a training session in a gym or to build speed, strength and stamina," describes David Tawil, a KAATSU Master Specialist who offers the same experience throughout the United States from the East Coast to the West Coast. "The standard session is 50 minutes and the entire goal is to refresh and rejuvenate the skin and really bring out one's energy, not a session that fatigues and challenges you physically." The client starts off by changing into comfortable gym wear - short pants and a short-sleeve shirt and without shoes or socks. The Studio Body Design specialist then smoothly, comfortably massages the client's limbs in a downward movement as they sit. Starting from the shoulders, they rub different cremes into the skin as they move down towards the wrist and hand. 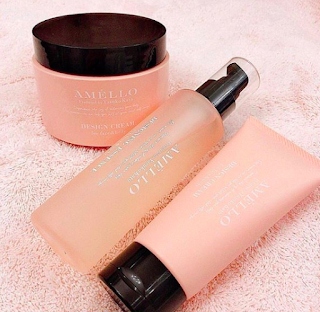 They do the same with the legs, starting from the feet and ankles and then moving up past the knees as they smooth on a pleasant-smelling creme. They do the same with the core, comfortably pressing on the stomach and lower back. Then they wrap the skin with cellophane and then special warming sleeves. The wrapping of the arms starts at the wrist. The specialist continues to spiral the cellophane wrap around the forearms and upper arms towards the underarm. The cellophane is wrapped from the ankles up to the quadriceps and hamstrings. The cellophane is even wrapped around the abdomen if the client wants. Then special warming sleeves are placed on both arms, both legs and around the core. KAATSU Air Bands are then applied to the upper arms and the client starts doing standard KAATSU Cycles. Movement is quite simple from stretching to extending the arms and rotating the shoulders. More complex movement from Pilates to use of silk suspension ropes can also be requested by the clients. After 10 minutes, KAATSU Air Bands are removed from the arms and the Bands are placed on the upper legs. Movement on the legs with the KAATSU Air Bands is also relatively simple, from stretching and walking in place on special foam pads to standing up and twisting the torso. More complex movements can also be requested by the client if they so desire. "Nothing is vigorous; the movements are not difficult," explains Tawil. "The clients are not exhausted; rather, they are invigorated. Their bodies start to perspire with all the rhythmic movements. But the perspiration is not dripping sweat, it is more like a glistening glow." After the KAATSU movements are over, the clients then sit back down and the Studio Body Design specialists remove the warming wraps and cellophane and softly dry the skin. They then re-apply a moisturizing creme to the body and spray the body with various air spritzers. "Then the real fun begins," Tawil recalls. "The specialists give a soothing face massage with bits of accupressure that really accentuate the benefits of the entire 50-minute experience. The clients open their eyes after the session and they have these huge smiles that express a deeply felt gratitude for time very well spent." In the emerging world of blood flow restriction (BFR), there are many hard questions, false allegations and mistruths disseminated by BFR manufacturers, sellers and users, especially vis-a-vis KAATSU. Question: What is the difference between BFR and KAATSU as a modality? Answer: BFR is based on the principle of occluding - or cutting off temporarily - the arterial flow from the torso to the limbs. That is, arterial blood flow is literally restricted or occluded when applying a tourniquet or occlusion bands in blood flow restriction equipment. Most often, tourniquets are used that are the same or very similar to blood pressure cuffs that are used in the medical world. These tourniquets and blood pressure cuffs - used to take blood pressure readings - are specifically designed and engineered to occlude arterial flow. Due to their width, structure and inelastic material, the tourniquets are very effective at cutting off arterial flow. That is, if you keep the tourniquets on long enough, the arterial blood flow is at first limited and then cut off. The palms of our hands go white and there is no pulse felt at your wrist. These tourniquets function exactly as they are designed and engineered and promoted. In contrast, the KAATSU Air Bands are specifically designed and engineered to allow arterial blood flow to continue and to reduce the venous blood flow back from the limb to the torso. These pneumatic bands are flexible, much more narrow and are elastic that enable the arterial flow to continue and the venous flow to be slightly and safely reduced. The KAATSU Air Bands were tested and used for 10 years at the University of Tokyo Hospital under the supervision and research conducted by cardiologists Dr. Nakajima and Dr. Morita and other exercise physiologists in collaboration with KAATSU inventor Dr. Sato. Many of the patients who used the KAATSU Air Bands were individuals undergoing cardiac rehabilitation. These physicians in Japan coined the description BFM or blood flow moderation to describe KAATSU long before the current BFR equipment was conceived or marketed in the United States and Europe. Question: What is the difference between BFR and KAATSU equipment? Answer: BFR focuses on arterial flow because its core equipment is a tourniquet that is specifically designed and engineered to occlude arterial flow. BFM or KAATSU focuses on venous flow because its core equipment are pneumatic bands that are specifically designed and engineered to moderate venous flow and not occlude arterial flow. Not only are the tourniquet materials, size (width), and structure are significantly different than KAATSU pneumatic bands, but also BFR and BFM protocols are dramatically different. Question: What is the difference between BFR and BFM? Answer: While the definitions of Blood Flow Restriction versus Blood Flow Moderation may first appear nuanced, vague and unimportant, the actual protocols and applications are significantly different and important. In concept and in application, BFR starts at the point of full occlusion and then held at a specific percentage (between 50-80%). Arterial flow is first occluded and then the limb occlusion pressure is reduced so allow a certain amount of natural arterial flow. In contrast, BFM or KAATSU starts at a gentle pressure that is gradually increased in duration increments of 20 seconds and only very slight pressure increase so capillary, vein and artery distention and pressure are safely managed. In concept and in application, BFM or KAATSU starts with normal arterial flow. The arterial flow continues as the venous flow is gradually and slowly reduced. This results in safe blood pooling in the limbs as the vascular walls gradually and slowly expand to accommodate the increased amount of blood in the limbs. For this reason, KAATSU equipment is often used with the Masimo MightySat Finger Pulse Oximeter. The data from the Bluetooth-enabled pulse oximeter ranges from Pulse Rate to Perfusion Index and is stored on the KAATSU Performance cloud database. Users can measure, store and analyze a variety of their own circulatory information while doing KAATSU. Allegation: Thin bands like KAATSU cause nerve damage and are dangerous. 1. An engorgement of blood in the small capillaries of the fingertips leads to a tingling sensation. If the sensation is uncomfortable, the easiest action is to either remove the KAATSU Air Bands. However, the best recommendation is to reduce the KAATSU Optimal SKU pressure and the tingling goes away. 2. A user is not well-hydrated before or during KAATSU. Standard KAATSU protocols always calls for all KAATSU users to be very well-hydrated before and during KAATSU use. 3. A user applies a too-high Base SKU pressure and places the KAATSU Air Bands too high up on their arms when first starting KAATSU. It is important to apply the KAATSU Air Bands snugly - but not overly tight. The standard recommendation is to apply the bands tight enough so no more than one finger can be placed under the bands between the skin and the band. If a finger cannot be placed under the bands, it is likely the bands are on too tightly. Also, the bands should be placed above the biceps muscle, but below the deltoids. There are two major players in the market created by KAATSU inventor Dr. Yoshiaki Sato in Tokyo: the devices designed and manufactured by KAATSU Global, Inc. (e.g., KAATSU Nano, KAATSU Master 2.0, KAATSU Air Bands) and the Delfi Portable Tourniquet System for Blood Flow Restriction. There are misunderstandings in the marketplace about these two products and approaches. The Delfi product identifies total occlusion pressure and then applies a specific percentage of that pressure during its applications. In contrast, the KAATSU products are not designed to even remotely approach occlusion pressure or do Blood Flow Restriction. 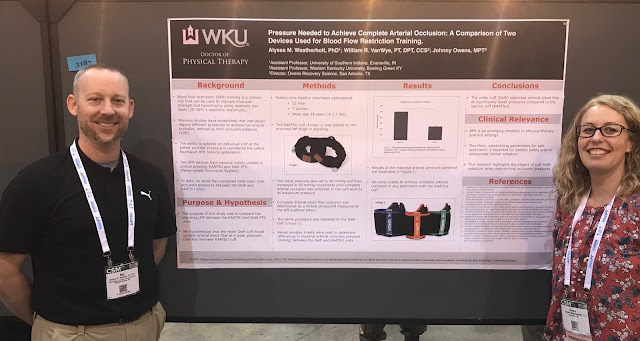 This fact was identified by Professor Alyssa Weatherholt of the University of Southern Indiana, Professor William VanWye of Western Kentucky University, and Johnny Owens of Owens Recovery Science (the exclusive distributor of the Delfi Portable Tourniquet System for Blood Flow Restriction equipment) who recently presented a study called Pressure Needed to Achieve Complete Arterial Occlusion: A Comparison of Two Devices Used for Blood Flow Restriction Training [see above]. The KAATSU equipment was designed and is specifically manufactured to avoid arterial occlusion in the limbs. This fact is precisely why KAATSU was originally defined by Dr. Yoshiaki Sato, the KAATSU inventor, and leading Japanese cardiologists at the University of Tokyo Hospital as a Blood Flow Moderation (BFM) device. KAATSU equipment is specifically not a BFR (Blood Flow Restriction) device. While the vernacular nuance between BFM and BFR may be overlooked by many (venous flow modification versus arterial flow restriction), the modification of venous flow is critical to understanding the safety and goal of KAATSU as certified KAATSU Specialists understand. "There is no part of the KAATSU protocols that includes as part of its protocols - or tries to achieve - arterial occlusion. This is why KAATSU is definitely not BFR, occlusion training, tourniquet training, O-training, or any kind of blood flow restriction modality," explains Steven Munatones. "This is why KAATSU equipment does not use cuffs or bands that are specifically designed to occlude or manufactured to restrict arterial flow. KAATSU Air Bands are not tourniquets or blood pressure cuffs. Rather, the stretchable bands are designed with flexible, elastic air bladders that inflate inwards towards the limb at very moderate pressures to minimally modify venous flow. This pressure is gentle on the body and uniform because the limb is evenly and safely compressed by a bed of air. This principle and practical engineered solution leads to blood pooling in the limb - not arterial occlusion. This fact was independently determined by researchers and the leading Delfi proponent of BFR. Furthermore, the patented KAATSU Cycle allows normal arterial and venous flow every 20 seconds which means it is safe, effective and gentle for people of all ages (including up to 104 years - see here). 1. The purpose of KAATSU equipment and its protocols is a reduction in venous flow via blood flow moderation, a term first coined in the 1990s by Dr. Sato and Doctors Nakajima and Morita, cardiologists at the University of Tokyo Hospital. 2. The pneumatically controlled KAATSU Air Bands is designed to achieve a reduction in venous flow is a very different approach from BFR and its widely-promoted use of blood pressure cuffs that are specifically designed to achieve limb occlusion. KAATSU is not BFR. 3. When the KAATSU equipment is used, its users agree to follow the specific protocols as defined by its inventor, Dr. Sato. Specifically, KAATSU protocols and equipment are designed not to occlude. 4. The stretchable, pneumatically controlled KAATSU Air Bands are not (blood pressure) cuffs. A cuff is a term that refers to devices specifically engineered for limb occlusion. 5. KAATSU Specialists understand the importance of users to know both their Base SKU pressure and their Optimal SKU pressure while using in the KAATSU Cycle and KAATSU Training modes. To refer to KAATSU pressure without reference to both Base SKU and Optimal SKU pressures is misleading. There is another paper written by Jeremy P. Loenneke, Christopher Fahs, Lindy Rossow, Robert Thiebaud, Kevin T. Mattocks, Takashi Abe, and Michael G. Bemben (Blood flow restriction pressure recommendations: a tale of two cuffs) that addresses this subject from another perspective. KAATSU users follow a variety of KAATSU protocols in order to (1) avoid shin splints or (2) recover from the inflammation and reduce the pain levels of shin splints, and (3) strengthen the calves, quadriceps and glutes. * Do the first KAATSU Cycle set at a low SKU pressure (e.g., 100 SKU). This level of pressure may not seem to be too difficult, but the first Cycles should be seen as a warm-up. Then do the next 2-4 sets at increasingly higher pressures (e.g., 120 SKU, 140 SKU, 160 SKU, 180 SKU) if the pressure feels comfortable. * Nothing should be done vigorously and everything should feel comfortable. * Do 1-3 sets of KAATSU Cycles on your legs while simply sitting and relaxing. Follow the same protocol with the legs as with the arms; that is, start with a low, conservative pressure (e.g., 150 SKU) on the legs and then increase the SKU levels on the subsequent sets. * Stretch or simply walk (if capable) at a comfortable pace (or pace back and forth in a room or office) for 5-15 minutes doing the next 2-5 KAATSU Cycles at an increasingly higher pressure. For example, start off with 150 SKU, then move to 170 SKU on the next Cycle, then 190 SKU and 210 SKU if those pressures feel comfortable. * KAATSU Walking will greatly help with improved circulation and generate a hormonal response which will help. If walking is uncomfortable, then simply stretch or do the 3-Point Exercises on the legs (sitting heel raises + standing leg raises + quarter non-lock squats). * There is no need to do squats or any vigorous movements if you are comfortable. If you cannot walk comfortably, then you can simply contract his quadriceps and hamstrings or do heel raises while sitting. But always stop if you do not feel comfortable. * Over time, you should feel comfortable at increasing the SKU pressure. A growing number of athletes from professional MMA fighters to high school swimmers in Louisiana and college swimmers at the University of Alabama use KAATSU before, during and after their workouts and performances. The KAATSU Nano offers these athletes the opportunity to safely and effectively improve blood circulation before intense competitions. Wednesday, Day 1: A young gymnast hurt his thumbs, especially his [discolored] right thumb, during practice. He was in pain and worried about his gymnastic event on Friday. Thursday, Day 2: With a gymnastic competition scheduled the next day, the 13-year-old did several KAATSU Cycles both before and after his practice. Friday, Day 3: On the day of his wrestling match, he did KAATSU Cycles again on the Friday morning of his match. His discoloration went away, his pain level fell significantly, and he performed well in his competition. 1. KAATSU Arms performed once at 20 SKU Base Pressure and 100 SKU Optimal Pressure. 2. KAATSU Arms performed once at 20 SKU Base Pressure and 120 SKU Optimal Pressure. 3. KAATSU Arms performed once at 20 SKU Base Pressure and 140 SKU Optimal Pressure. "He could have probably used higher (SKU) pressures, but this was the first time the young athlete used KAATSU, so we used very conservative pressures. He works out 4 hours on weekdays and 3 hours on Saturday, so he is in excellent physical shape," explained Steven Munatones. "With the KAATSU Cycles, our aim was to reduce his pain levels, regain his range of motion and grip strength as soon as possible. So multiple KAATSU Cycles done twice per day was our recommended protocol and it worked not surprisingly." Time and time again, male and female users of KAATSU have seen their varicose veins either go away or be minimized. While eliminating or reducing their varicose veins was not their original goal, the cosmetic effect of this outcome has been greatly appreciated by many from women who have just given birth to older adults of both ages. To understand why this improvement occurs, it is important to understand how and why varicose veins appear in the first place. Blood flows into your legs through arteries and returns back to the heart in your veins. Veins have valves inside them to stop the blood from flowing the wrong direction. These valves can lose their elasticity, stop working properly or otherwise become weak or damaged. Weak or damaged valves in your legs can lead to varicose veins. While your heart is strong enough to efficiently pump blood through your torso, it needs help to enable blood to flow to and from your lower body. To return blood to your heart, the veins in your legs must work against gravity. Muscle contractions in your lower legs act as pumps and the elastic vein walls help blood return to your heart. Tiny valves in your veins open as blood flows toward your heart. The valves then close to stop blood from flowing backward. If these valves are weak or damaged, blood can flow backward and pool in the vein, causing the veins to stretch or twist. Aging causes the valves in your veins to become weaker and eventually that leads to the valves allowing some blood to flow back into your veins where it collects instead of flowing up to your heart. Varicose veins are twisted, enlarged veins. The veins that most commonly affected are veins in your legs because standing and walking upright increases the pressure in the veins of your lower body. For many people, varicose veins and spider veins — smaller, thinner, more mild variation of varicose veins that can also be found on your face — are more of a cosmetic worry. For some people, varicose veins causes pain and discomfort and sometimes lead to more serious problems that should be addressed by your personal physician. So if you have veins in your legs that are dark purple or blue in color, look like they are twisted and bulging, people are often advised to ; exercise, elevate their legs or wear compression stockings that can help you ease the pain of varicose veins and may prevent them from getting worse. Medical professionals understand that individuals cannot completely prevent varicose veins, but it is widely know that improving blood circulation and muscle tone can reduce the risk of developing varicose veins and getting additional ones. This self-treatment can include exercise, proper nutrition, avoiding obesity, frequently changing your sitting and standing position if you have a tendency to not move much at work or home. This is how KAATSU can useful and effective. There are two primary outcomes and mechanism: (1) Improved blood flow and (2) Increased vascular elasticity. Both which help the valves in your legs function normally and eliminate or reduce the backed-up blood near these areas. Research at the University of Tokyo Hospital showed that regular intermittent modification of venous flow (from your limbs back to your torso) with the KAATSU Air Bands and KAATSU equipment on the legs leads to blood shifting to the lower part of the body while blood flow is temporarily decreased in the parts of the body above your heart. Your brain perceives this minor shift and, as a result, directs your heart to increase blood flow. The increased blood flow improves blood circulation throughout the entire body and the blood in the peripheral arteries flows more smoothly. As we age, the natural elasticity of our capillaries, veins and arteries is reduced. When blood vessel walls lose its elasticity, the smooth circulation of blood is reduced. When the venous flow is intermittently modified with KAATSU equipment on your legs, the blood flow is temporarily reduced in your upper body and the blood vessels throughout your body attempts to supply an increased amount of blood. This is a natural phenomenon and is what the human body and brain have evolved to do. When the KAATSU Air Bands are released (every 20 seconds in the KAATSU Cycle mode), this mechanical modification (alternately creating constriction and dilation) stimulates the blood vessels and enhances blood vessel elasticity - even if you are sitting down and relaxing. When venous flow is modified, blood must be pushed harder to bring sufficient amount of blood to each cell in your body. In addition, there are two other natural physical phenomena that occur: (1) vascular endothelial cells generate nitric oxide that helps to restore your natural vascular elasticity, and (2) new blood vessels are formed to efficiently supply a limited amount of blood. These effects lead to the improved valve function and elimination or significant reduction of varicose veins. 1. The easiest and most convenient exercise is to simply sit and do several (3-6) KAATSU Cycles with the KAATSU leg bands on. You can do this anytime you are working in your office, watching TV or relaxing anywhere. The KAATSU Cycle pressure can start conservatively (i.e., a low SKU) and then gradually increase with each subsequent KAATSU Cycle (e.g., 150 SKU for the first Cycle, 200 SKU for the second Cycle, 225 for the third Cycle, etc.). 2. The next best and more effective exercise is to do the standard KAATSU 3-Point Exercises with the KAATSU leg bands on while using the KAATSU Cycle mode: (1) Heel Raises done slowly while sitting, (2) Leg Raises while standing, and (3) Non-lock Partial Squats. See videos above for ideas and suggested exercises that can be done in your home or office. You can also do a variety of other exercises [see video below]. 3. The best and most optimal exercise is KAATSU Walking. With the KAATSU Nano or next-generation KAATSU Wearables, you can walk with the KAATSU leg bands on while using the KAATSU Cycle mode. The KAATSU Walking can be on a treadmill or outside anywhere or indoors in your home or office. If you have cardiac issues or serious vascular issues, consult your physician before beginning any exercise program. However, the KAATSU Cycle mode has been used safely and without contraindications with over 7,000 individuals with documented cardiac issues (heart bypass, heart attack) or who have survived strokes. It is important and strictly recommended to only use the KAATSU Cycle mode with anyone with health concerns. All of the standard KAATSU protocols are essential to follow: use conservative pressure, be well hydrated before and during KAATSU sessions, always start with the KAATSU Cycle mode to help warm-up the body and vascular system, and move slowly and conservatively (i.e., not vigorously). The standard KAATSU core and lower back exercises with the KAATSU Cycle mode can also be useful for individuals with varicose veins. 1. Manually tighten your KAATSU Air Bands on your legs at your appropriate Base SKU. 2. Inflate your KAATSU Air Bands on your legs to your Optimal SKU. 3. Sit straight up in a chair or couch with your hips near the edge. 4. Slowly exhale and slowly lean forward, tightening your abdominal muscles as strongly as possible until your stomach is close to your legs. 5. Hold and then slowly inhale air on your return to a sitting position with good posture. 1. Manually tighten your KAATSU Air Bands on your legs at your appropriate SKU. 3. Stand on one foot, balancing only on your other leg for as long as possible. 4. When your balance is lost, rest for 10-20 seconds and repeat two more times. 5. After 3 times, balance on your other foot. 6. This act of balancing will create instability in your core and will help strengthen your stomach and lower back. 2. Inflate your KAATSU Air Bands on your legs to the Optimal SKU. 3. Place a book on your head and walk slowly until the book falls off. 4. Rest 10-20 seconds and repeat the walk again two more times with the book on your head. 5. Walking straight slowly, especially on an uneven surface like a sandy beach, will create instability in your core and will help strengthen your stomach and lower back. 3. Stand on one foot while holding a water bottle in each hand. 4. Hold the water bottle in your outstretched arms and stand as long as possible on one leg. 5. When your balance is lost, rest 10-20 seconds and repeat two more times. 6. After 3 times, balance on your other foot. 7. In order to make this exercise more difficult, move your outstretched arms left and right, and up and down in an asymmetric manner while balancing on one foot. 2. Inflate your KAATSU Air Bands on your legs at your Optimal SKU. 3. Do planks as usual. 4. Alternatively, tighten the KAATSU Air Bands on your arms at your Optimal SKU and do planks as normal. 1. Tighten your KAATSU Air Bands on your legs at your appropriate Base SKU. 3. Lie on your back and slowly bring one leg one up to your stomach and hold. Grab your knee with your arms to stretch your back. 5. Continue to lie on your back and slowly pull both your legs up to your stomach and hold. Grab your knees with your arms to stretch your back. 3. Lie on your back and slowly lift your hips off the floor and hold. Bring your hips to the ground and repeat as desired. 3. Lie on your back and slowly lift both your feet off the ground and hold. Repeat as desired. 4. Lie on your back, lift both your feet off the ground, and kick your feet slightly off the ground. Repeat as desired. 3. Lie on your back and slowly pandiculate (i.e., stretch and stiffen your trunk and limbs, extending your toes, feet, arms and hands as you do upon waking). KAATSU users often ask how KAATSU can be safely used as part of their rehabilitation of a broken limb, especially when the injured arm or leg must be keep immobilized as it heals. Similar to Olympic silver medalist Todd Lodwick did in the month prior to the 2014 Sochi Winter Olympic Games when he broke his humerus and torn his ligaments in his left arm, KAATSU users can perform KAATSU twice per day, primarily using the KAATSU Cycle mode on their other three healthy limbs. The standard KAATSU 3-Point Exercises in the KAATSU Cycle mode can be used: Hand Clenches + Biceps Curls + Triceps Extensions on the arms plus Heel Raises + Leg Curls + Non-lock Partial Quarter Squats on the legs. KAATSU Walking or KAATSU Aqua Walking can be performed as one very effective alternative in the injury is in the arms. The KAATSU Cycles, ideally, should be performed in the mornings and then within one hour of bedtime. The effects are best if the movement of the healthy limbs is slow and steady. Ideally, the muscles in movement should be contracted in both the positive and negative directions. The reason why KAATSU on the healthy limbs is effective is because KAATSU has systemic effects all over the body, including in the injured limb - even if KAATSU is not done on that limb. At the Indiana University School of Health and Rehabilitation Sciences Center for Translational Musculoskeletal Research and the University of Indianapolis Department of Kinesiology, Dr. Alan Mikesky and his research team researched the crossover effects of KAATSU [see Modified KAATSU Training: Adaptations and Subject Perceptions here]. In his research, Professor Mikesky was looking to confirm the systemic effects of KAATSU. The researchers applied KAATSU Air Bands on only one arm of subjects and tested the strength, girth, tomography scans along with RPE (Rated Perceived Exertion scale) of both arms of the subjects. The research team correctly did KAATSU and measured both the Base SKU (which they called “Cuff Tightness Pressure in mm Hg"and Optimal SKU (which they called “Cuff Inflation Pressure in mm Hg”) levels. The research showed how doing KAATSU on one limb can have crossover (systemic) effects on the other limb - a very important goal for individuals with one injured limb who is trying to recover. In the video above, this effect was practically demonstrated was with 2010 Olympic silver medalist Todd Lodwick who broke his left arm and torn his ligaments 28 days before the 2014 Winter Olympics. With KAATSU done on his non-injured limbs, he was able to compete admirably well in both the ski jumping and the Nordic combined events after only 5 weeks of KAATSU. During his rehabilitation, the staff at the U.S. Ski & Snowboard Association noted that Lodwick was getting too muscular after a few weeks of KAATSU - despite his broken bone and torn ligaments and doing no weights or traditional strength training exercises. In response, his SKU levels was reduced and he stretched more and did low-pressure, post-workout KAATSU Cycles so his muscle hypertrophy was not accelerated (see above). Personally, Lodwick liked the effects and ultimately was able to compete. In summary, doing KAATSU on healthy limbs can have direct crossover benefits to the recovery, strength and girth of an injured limb or core. Another previous study conducted in Japan is entitled Cross-Transfer Effects of Resistance Training with Blood Flow Restriction (see here). Silver medalist Todd Lodwick is shown above doing similar KAATSU training after his skiing accident and was able to rehabilitate and recover quickly enough to compete in the 2014 Winter Olympic Games in Sochi. Research on the effects of KAATSU has been conducted with men and women of all ages, abilities and conditions. An interesting variety of research has also included equine subjects (i.e., horses), mice, rats, and goats from Japan to the United States. Research has been conducted at the University of Tokyo Hospital and Osaka University in Japan, at Peking University and Jilin University in China, at the Harvard Medical School, University of Missouri, University of Oklahoma and Rutgers University in the United States, at the Hospital Israelita Albert Einstein in São Paulo, Brazil, and dozens other universities and academic research institutions. The photos above show Chinese scientists attaching standard KAATSU Air Bands on the hind legs of goats in northern China under the auspices of China's State General Administration of Sports, the government agency responsible for sports in China that also administers the Chinese Olympic Committee. The study is entitled Muscle, tendon, and somatotropin responses to the restriction of muscle blood flow induced by KAATSU-walk training, published in Equine Exercise Physiology. The researchers delved into the efficacy of KAATSU that has been demonstrated in human athletes, both as a therapeutic method as well as a training aid. The purpose of their study was to investigate the effects of slow walk training combined with restriction of muscle blood flow (KAATSU) on muscle and tendon size. They studied 6 healthy, unfit Standardbred mares performed walking (240 meters/minute for 10 minutes and then a 5-minute recovery) with KAATSU, and 6 mares performed walking without KAATSU. A specially designed elastic band (manufactured by KAATSU Japan using the original KAATSU Master device) was placed at the most proximal position of the forelegs and inflated to a pressure of 200-230 mmHg throughout the walking and recovery sessions. [Note: the KAATSU Air Bands were the same model and type that were used by humans and with the goats in China). The professors found that the acute increase in plasma somatotropin was 40% greater (P<0.05) in the KAATSU-walk group than in the Control-walk group 5 minutes after exercise and remained elevated (P<0.05) at 15 and 60 minutes post exercise compared with the Control-walk group. After 2 weeks of training, muscle thickness increased (P<0.05) 3.5% in the KAATSU-walk group, but did not change in the Control-walk group (0.7%). Tendon thickness did not change (P>0.05) in either group. They concluded that these data demonstrate that KAATSU can induce muscle hypertrophy in horses and suggest that KAATSU may provide significant therapeutic/rehabilitative value in horses, as has been shown in man. In 2017, Dr. William Ursprung conducted a KAATSU Walking study at Texas A&M University entitled The Effects of Blood Flow Restriction Training on VO2Max and 1.5 Mile Run Performance on humans (published in the International Journal of Exercise Science), not the equine subjects that Professor McKeever had done at Rutgers. Dr. Ursprung utilized the KAATSU Nano device (a smaller, more portable equivalent of the KAATSU Master that Professor McKeever used) and the same KAATSU Air Bands that were used on the Standardbred mares in Rutgers. Dr. Ursprung used the KAATSU Air Bands to safely maintain arterial inflow to the leg muscles while preventing venous outflow. He writes, "Blood flow restriction training with resistance has been shown to improve muscular power, sprinting speed, strength, hypertrophy and endurance. Non-resistance training methods using [KAATSU], such as walking, may increase strength and hypertrophy however the effects on aerobic capacity are less uncertain and the research in this area is limited. Using 10 young, fit, well-trained male military personnel, Dr. Ursprung evaluated the effects of 3 weeks of [KAATSU Walking] on VO2max, 1.5-mile run times, and muscular size. 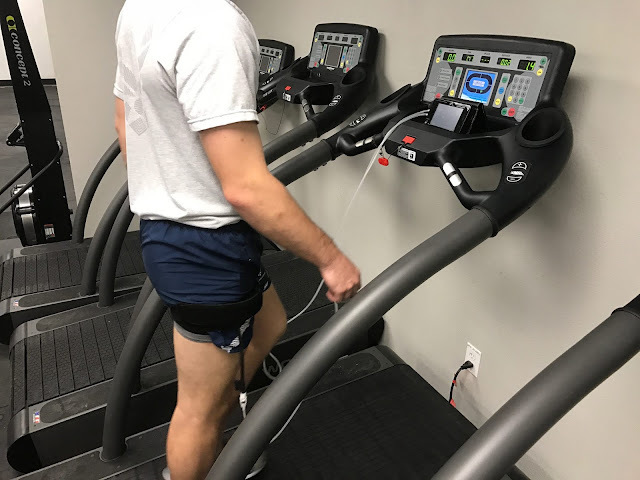 He recorded the pre- and post-measurements of VO2max, 1.5-mile run times, and thigh muscle cross sectional area and found that KAATSU Walking resulted in significant improvements in VO2max (p=.034), significant decreases in 1.5-mile run time (p=.024) and significant increases in thigh muscle cross sectional area (p=.016). So while Professor McKeever found that limited KAATSU Walking can induce muscle hypertrophy in horses and concluded that KAATSU may provide significant therapeutic/rehabilitative value in horses, Dr. Ursprung concluded that similarly limited KAATSU Walking can improve the aerobic capacity, endurance and muscular size at low training volumes and intensities among humans. Follow-up to the posting regarding a cracked calcaneus (heel) bone: see here. Olympic swim coach Chris Morgan recently fractured his right calcaneus bone (heel). The injury resulted in a crack about 75% through the entire bone. 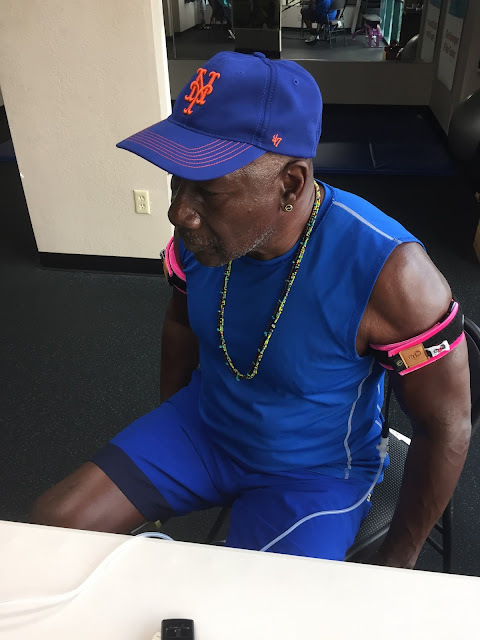 Morgan did KAATSU Cycles on both his arms and legs while in a boot, on crunches and taking pain medications for the last two weeks at his home. The doctor instructed him not to walk or apply pressure on the healing bone until he cleared him. "It was painful and there is no way to walk on it, but I could sit up and do KAATSU on my arms and legs." After doing KAATSU Cycles in the morning and evening every day, he was able to stand and walk on this cracked - but healing - heel after 10 days. And walking fully without a boot or crutches within 15 days. According to the standard prognosis, this kind of healing is unheard of. "In the emergency room, the doctor said to me, 'Oh that must be so painful. You cracked 75% of heel.' He was right. But I knew that I had to start rehabbing with KAATSU as soon as I got home," Morgan recalled. "But after only 10 days, I surprised my doctor by being able to stand and walk on my heel. He asked what I was doing. Admittedly, standing and walking is not yet completely pain-free, but I was able to reduce his estimate from 6 weeks to 10 days." Morgan's rehabilitation includes two separate KAATSU sessions per day: a morning session and an evening session where he does several KAATSU Cycles on both his arms and legs. Morgan explains, “The doctor told me to be completely off my injured foot for 6 weeks. I did KAATSU daily - twice daily. Based on my quick healing of my broken ribs, I guessed that my bone should be healed enough to start walking within 2 weeks with KAATSU. Well, being able to walk only took 10 days of KAATSU Cycling – and every day feels even better." Podiatrist Dr. Lyle Nalli explains, "The calcaneus is the most vascular bone in the foot and can crack easily, but with its thin cortex and sparse inner bone pattern, can heal the fastest off all the foot bones. KAATSU, as it regulates blood flow, etc., speeds up the bone's healing rate." After 15 days of twice-daily KAATSU Cycles done in the morning and evening, Morgan was able to walk without crutches and without a walking boot, vastly increasing his mobility within 2 weeks while his physician had predicted he would be only able to stand on his heel after 6 weeks.